Creative Edge Cabinets is your choice for custom cabinets. From contemporary or modern styles of cabinetry, we create beautiful custom cabinets that are made especially for you. You can make your own choices, or have one of our trained associates help guide you through the process. Our trained associates have over 50 years of experience in making, finishing, and installing cabinets. Our goal is a finished product that will increase the value of your home, while making you want to spend more time in your kitchen. Being a custom cabinet shop allows us to offer you a wide number of choices when it comes to your cabinet needs. Whether it is for a new home or a remodel, we are here to meet your needs. We offer cabinets for your kitchen, bathroom, laundry room, basement, fireplace, or any room in your home or business. Not sure exactly what you want or how you want it to look? No problem. We have an interior designer who can help you overcome your uncertainties and make you feel at ease. 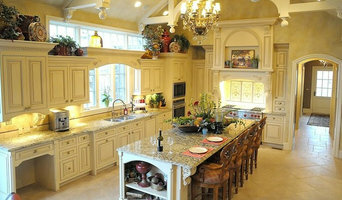 Creative Edge Cabinets and Woodworking is truly your one stop shop for all your cabinetry needs. Bowman's Fine Cabinetry LLC. knows that your kitchen is the heart of your family a central gathering spot for those you hold dear, let us create a warm and inviting atmosphere that refreshes the mind and spirit; a comfortable place for entertaining where love and laughter flow freely. We understand that cabinetry is an important investment and a significant enhancement to your homes hospitality and comfort. Because everyone's taste our different and our designer strive to design cabinetry that is truly you. We are dedicated to customer satisfaction, our reputation is based solely on recommendations of our satisfied clients. At Vintage Millwork we take pride in the fact that our quality and craftsmanship are unmatched in Northwest Ohio. Our selection of the finest hardwoods and custom run carvings combined with our expert joinery techniques and highly skilled craftsmen allow us to consistently design and build beautifully timeless wood cabinets, furniture, and custom built-ins again and again. *Authorized Fieldstone Cabinetry Dealer* Since 1978, National Door & Trim has been supplying builders and homeowners with prefinished Interior Doors, Exterior Doors, Stair Parts, and Millwork products. We have built our reputation on our quality and attention to detail. You can trust our expert staff to help make your dream home a reality. An Authorized Fieldstone Cabinetry Dealer, National Door and Trim offers a wide variety of doors, mouldings, stair parts, cabinetry, flooring and so much more. At Perrysburg Kitchens and more we design and sell cabinetry, countertops, flooring, tile, and many other products. We are a one stop shop for your next remodeling project. We communicate with you so that there is an understanding of what you want out of your project. This service helps us see to it that every last detail is accounted for. We provide you with detailed plans and specifications so you can understand the entire scope of your project. Our interior design team will help your ideas come to life and pull together a design theme for your project. Our team works closely with knowledgeable contractors that will work on the project as if the job were being performed in their own home. We will supervise the entire project and correlate the schedule with all contractors, ensuring that the project stays on track from start to finish. By providing a single point of contact, we take the stress off of you. Cutting Edge Woodkraft specializes in custom woodworking ranging from kitchen cabinets and bathroom vanities to shelving and heirloom furniture. Family owned and operated, the Blanchard Woodshop's founders take pride in the company's ability to manufacture a diverse range of quality products. Blanchard Woodshop cabinetry is the result of a blending of time-honored woodworking techniques and highly trained professionals with state-of-the-art manufacturing. The end result is a product that recognizes each customer's sense of individuality at a competitive price. 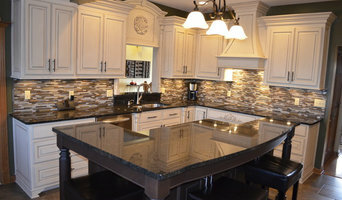 Clancy's Cabinet Shop offers the Great Lakes region exceptional custom cabinets, countertops, and furniture - serving Toledo, OH; Lima, OH; Jackson, MI; Ft. Wayne, IN; and beyond. We are a versatile company, encompassing everything from bathroom and kitchen countertops to hand built cabinetry. 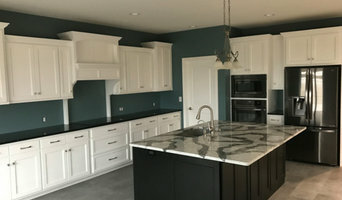 We specialize in designing and building custom cabinets; quartz, solid surface, granite, and laminated counter tops; house trim and flooring and raised panel house doors for home and office. At Clancy’s Cabinet Shop we believe in using the best building materials, building methods and workmanship. We do not cut corners. The extra time we spend to insure quality is never wasted. It takes years to establish a reputation. It is that commitment that keeps us striving to be our best. In 1990 the owner Clancy Foor started Clancy’s Cabinet Shop in a small barn. After working for seven years at another high-end cabinet company, he started out to make a name and a reputation for himself. Clancy gained a passion from growing up in Northwest Ohio to build things that would last and be passed down as an heirloom to generations to come. Because of Clancy’s lifetime commitment to being proud of what he builds, we look for clients who are after superior craftsmanship, unique needs, styles and services. Listening to and meeting our customers concerns is often what sets us apart. Our team is dedicated to valuing the people we work for. We want to always do for others, as we would like done for us. Our business has maintained a steady growth over the past 20 years, growing from the small one man operation to a team of skilled artisans. We have been blessed with good clients and jobs that have made us what we are today. We never take for granted that our past is enough to see us through today’s challenging times. We continue to surround ourselves with positive people who share in our thinking and attitude. Custom woodworking designs to enhance and personalize your home. Vorst Custom Cabinets is a complete cabinet and woodwork center. Other shops offer only manufacturing capabilities, or offer design services but then buy their cabinets from a supplier. At Vorst Custom Cabinets, we offer complete design and consultation services, and then we build what we design in our own facility. 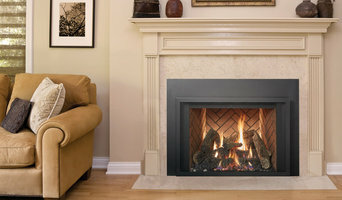 After it's built, we offer complete installation services. You won't be 'left hanging' after we complete the build process. We will manage the entire process from concept to installation. At Vorst Custom Cabinets, you have the comfort in knowing that you have a personal representative in your local proximity to answer your questions and resolve any issues. Though we will always match the materials we use to your specifications, by default, we use superior materials. Vorst Custom Cabinets will make sure you are completely satisfied with our work..
You can get a wide range of high-quality cabinets and other products at great prices when you choose Wood Creations. With over 20 years' experience in custom cabinetry and 19 years in the business, we're well-equipped to take care of all your needs. Your home is unique. Why make your interiors look just like your neighbors'? Our affordable custom cabinetry services will suit your needs perfectly. You'll keep coming back to us! American Products designs custom cabinets, doors and accessories. We provide our customers with the products they desire. 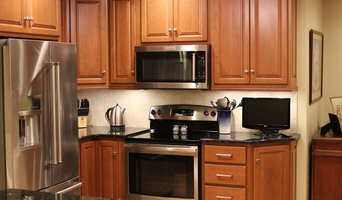 We also specialize in custom color matching to match existing cabinets. Joinery and cabinet makers are mostly known for their work in kitchens and bathrooms, but their skill set goes much further than that. It is important to understand the difference between carpenters and cabinet makers, which lies in the detail of work. Carpenters tend to work on larger structural projects and this is why many become builders, whereas cabinet makers are masters when it comes to the finer detail. So if you’re looking for detailed woodwork like custom-made furniture for your living room or smart storage solutions, you’ll be sure to find a New Bavaria, OH cabinetry expert in the Houzz directory of professionals. What Do New Bavaria, OH Joinery and Cabinet Makers Do? If you know what you want and are ready to take the next step, scroll through this page to find joinery and cabinet makers in New Bavaria, OH. As mentioned, you can browse their latest projects, read reviews and see how other homeowners rate their work, and message them directly. You can also look through Photos to find examples of joinery you like, then contact the professional who worked on them.